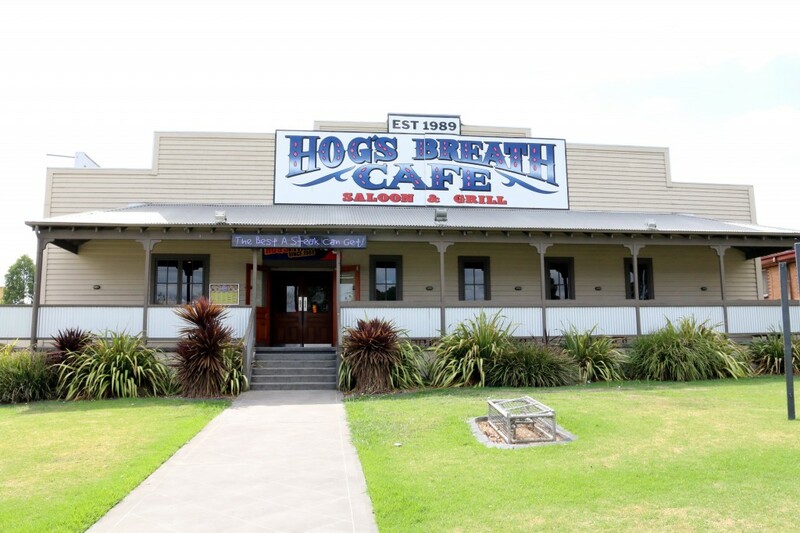 The Hogs Breath was opened in July 1989 at Airlie Beach, North Queensland by founding father Don Algie and then 23 years later there are over 75 restaurants throughout Australia. 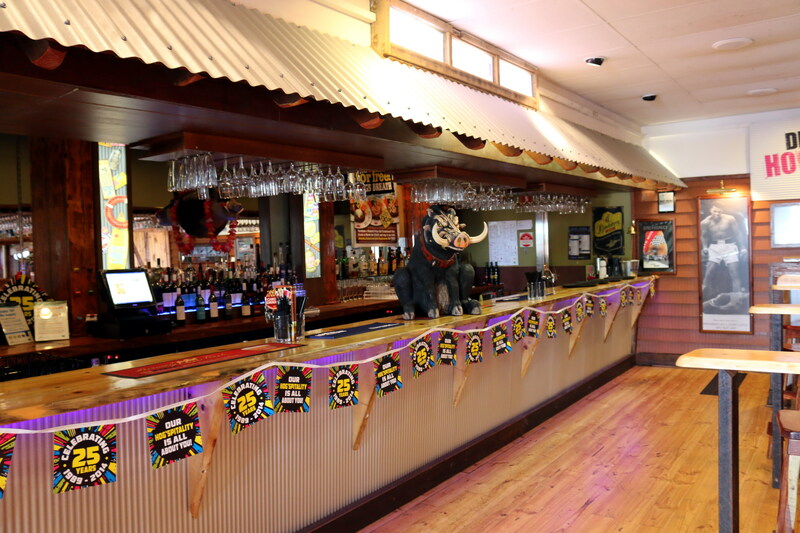 The Hogs Breath specialise in Prime Ribs Steaks, with the boast that “there’s not a more tender, mouth-watering steak to be found anywhere”. The Hog’s Breath philosophy is “have fun and enjoy yourself”. 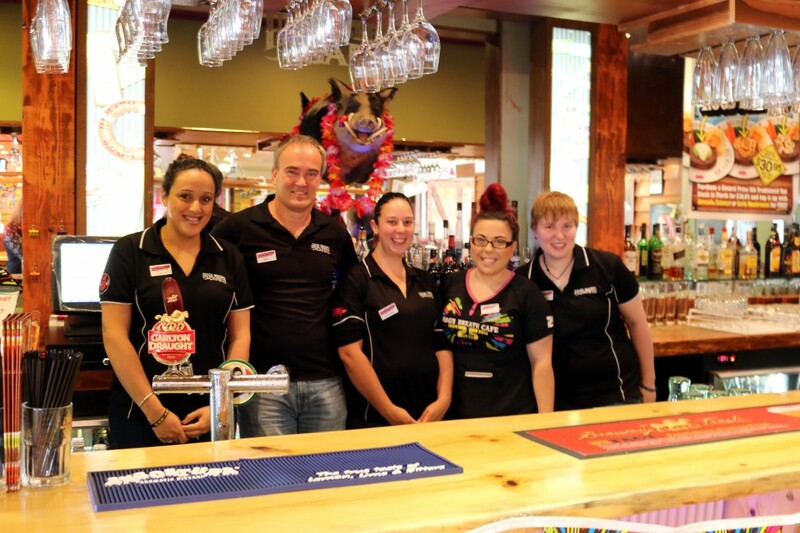 I recently visited the Dandenong Store, to check out what they have to offer. 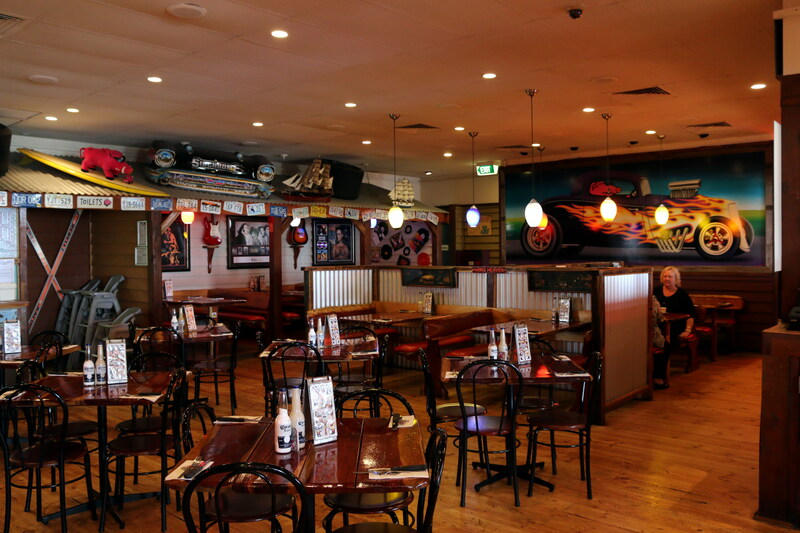 The Dandenong store has been in operation for 10 years this August and Simon Garrington has been running the restaurant for over 3 years now. The best part of his job is “dealing with he public as everyday is a different day”. He also enjoys that they have theme days there, the last one being St. Patricks day where everyone gets involved and dresses up. 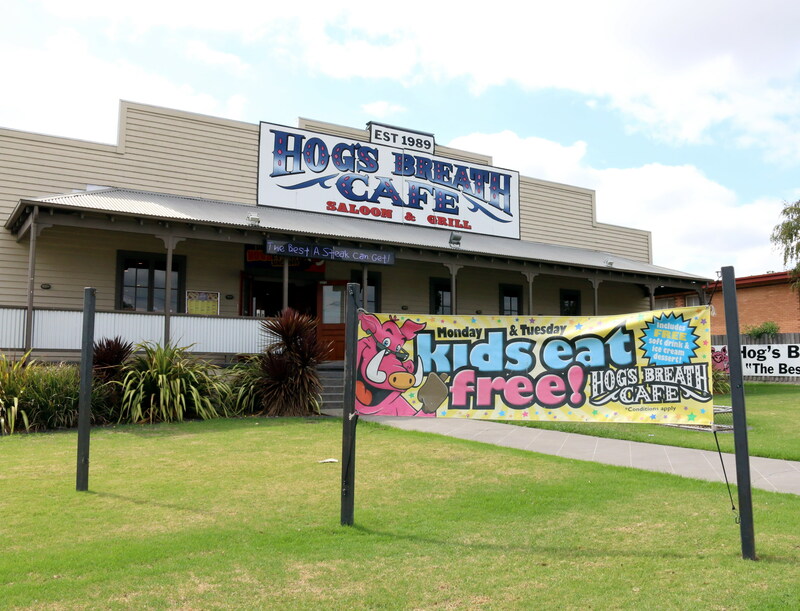 The Hogs Breath Café is currently celebrating its 25th Anniversary. 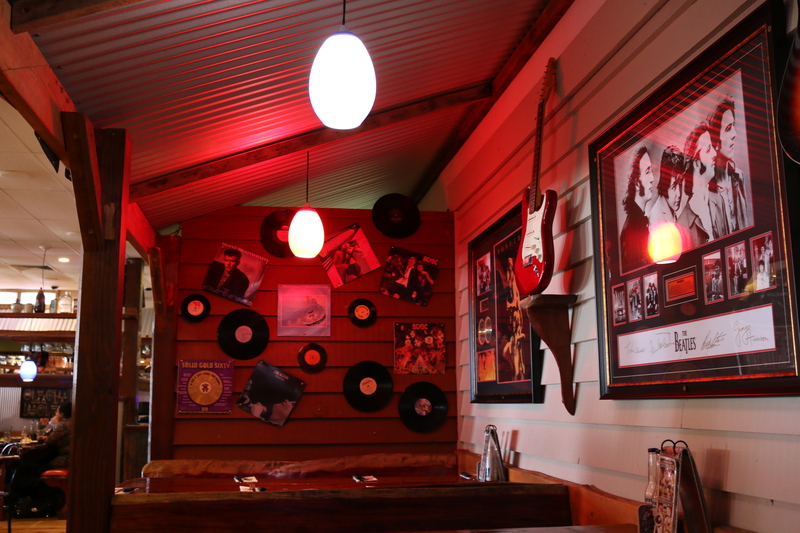 The restaurant is an easy going laid back venue, with lots of music and sporting memorabilia on the walls. The music in the back ground was very chilled and easy to sit back too and enjoy lunch. 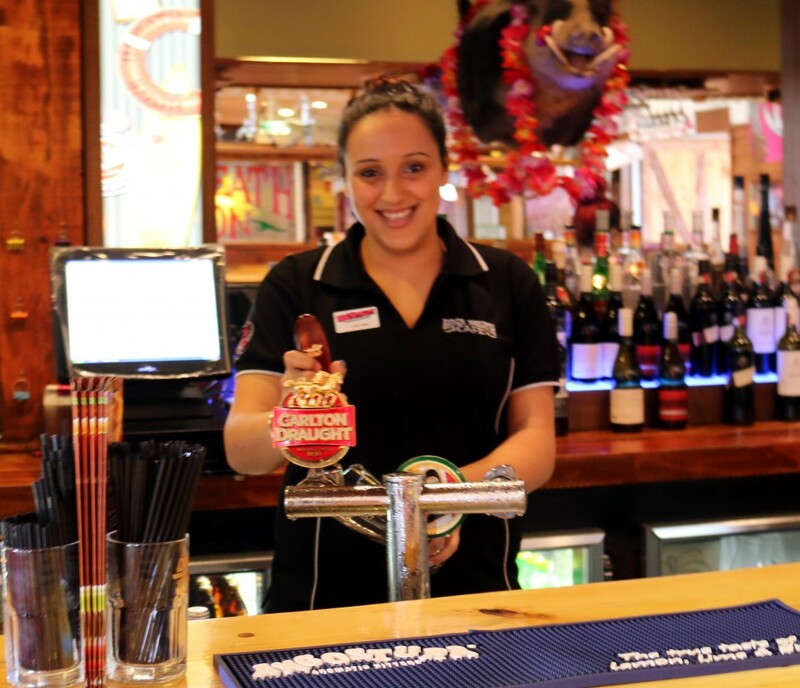 The staff were very friendly and explained the menu and specials very clearly. I ordered my standard midori and lemonade in a tall glass and it came with 3 minutes and was very strong which I enjoyed, not like the water downed drinks in some other restaurants. 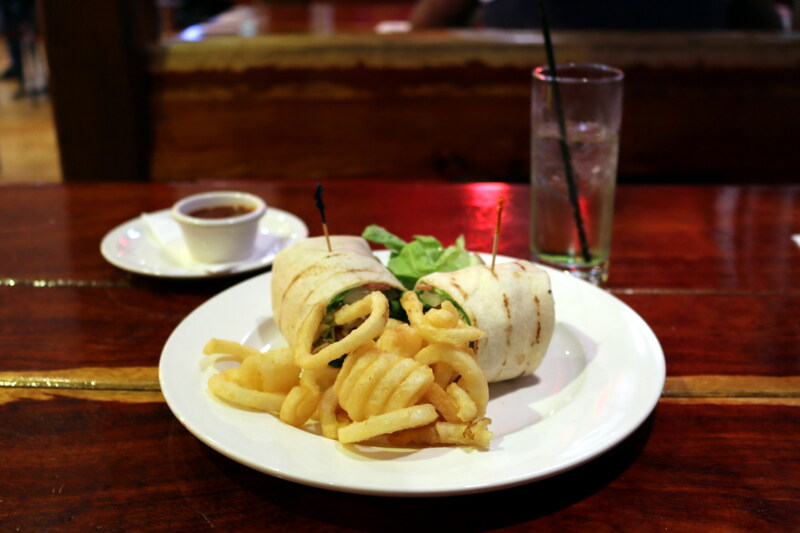 For my lunch I decided on the Crispy Chicken Caesar Wrap (which is part of their $9.90 lunch time specials). My meal arrived in about 12 minutes after I ordered it which gave me time to enjoy my drink and people watch in the restaurant. My meal was very well presented and I loved the Hog Tail Fries they came along with it. The crispy chicken was very tasty and was a great healthy option for a lunch time meal. 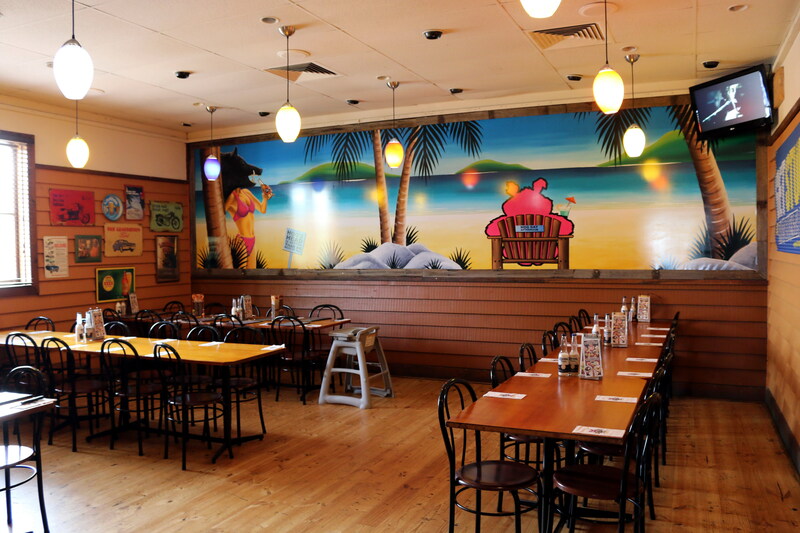 As I enjoyed my meal, I noticed the restaurant was mainly occupied by families, business people and a couple of tradesman. My favourite part of my meal, desserts. I must point out that I normally have that chosen before my main meal. 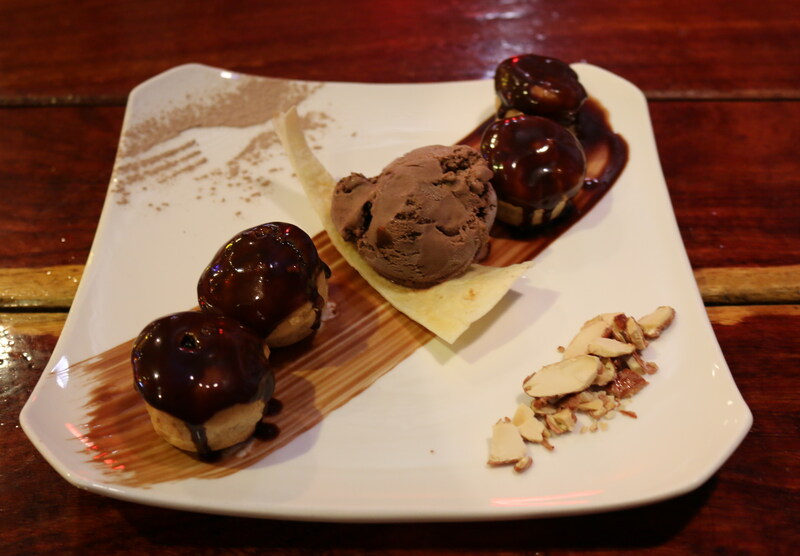 I choose the chocolate profiteroles at $8.95. I hope they look like as good a they do in the menu. They did, if not better. They tasted amazing. I couldn’t get enough of them. I really enjoyed my time at the Hogs Breath and really recommend you come down and enjoy what they have to offer. 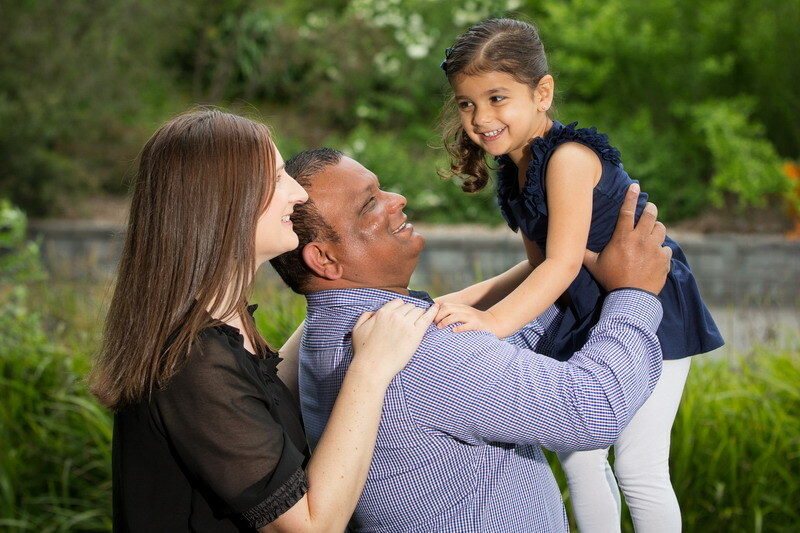 I would like to thank Simon and his staff for showing me a great time and I will definitely be back with my husband and daughter.